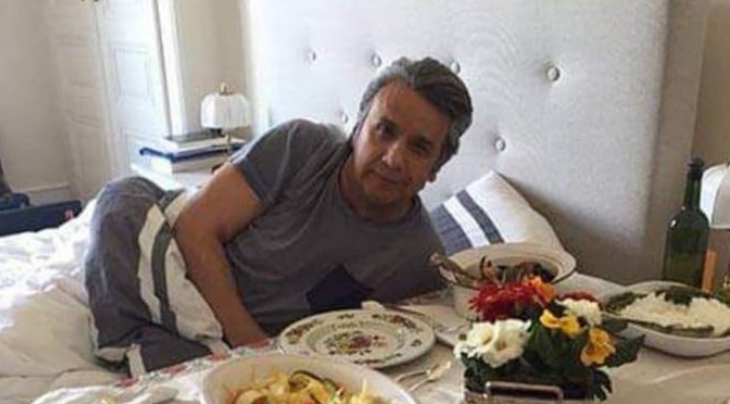 Assange is accused of leaking a picture of Ecuadorian premier Lenin Moreno dining on lobster in a luxury hotel room. The picture, which has been widely circulated on Twitter, comes at an awkward time for the president whose administration has the Ecuadorian people living under austerity measures. wow, look at the nobility from Ecuador. I would be surprised if he didn't have a stable of Colombian concubines as well.